First Presbyterian Church - La Grande, OR. Rooted and Growing in Christ's Love to Nourish a Hungry World. At First Presbyterian Church, we come together for worship expecting God in Christ to be present and active by the power of the Holy Spirit. We gather to praise God, be fed by Word and sacrament, and go out into the world as Christ's disciples. Sunday morning is our community's primary time to gather to praise God. Join us at 9:30 AM. 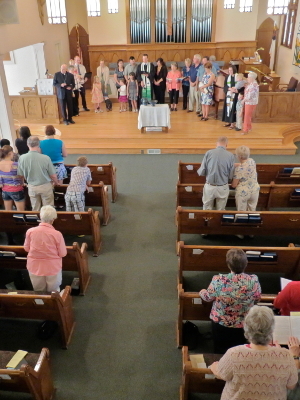 Our typical worship includes times of reflection, prayer, scripture reading, a sermon, and a blend of traditional and contemporary music, Communion is served the third Sunday of the month and other select church holidays. We welcome all children! They may remain with their families in worship. We have a staffed nursery for our youngest members. Kindergarten through 5th graders are invited to Bridge to Worship after Time with the Younger Church for a lesson connected to that Sunday's Scriptures. Older children are encourageded to remain in worship, and may make use of the art supplies from the basket located at the back of the sanctuary. Mission and service at First Presbyterian Church are an expression of the love of Christ through concrete actions of service, justice and mercy in the La Grande community and to the world through the connectional system of the Presbyterian Church (USA), the Presbytery of Eastern Oregon, and in collaboration with the ecumenical and community organizations. 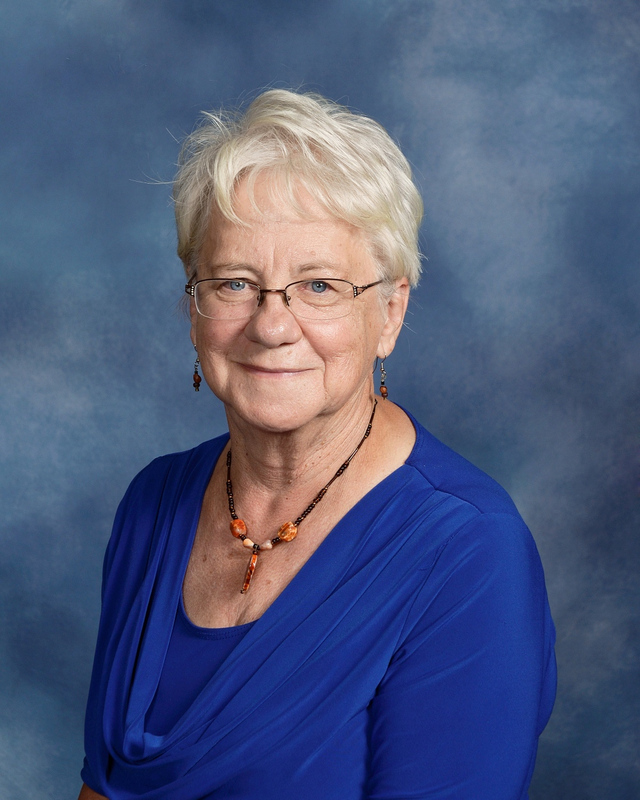 Presbyterian Women (PW) is a national women's organization of the PC (USA). 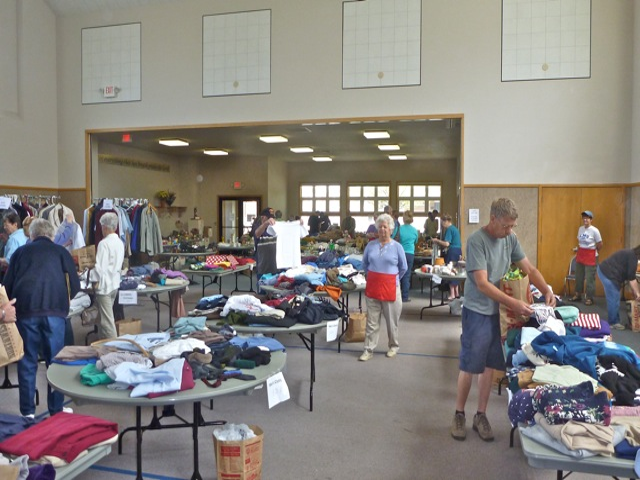 Here at FPC, the main events of PW are the spring rummage sale and fall holiday bazaar. Funds from these events are used to nurture faith, support the church's mission, work for justice, and build community. 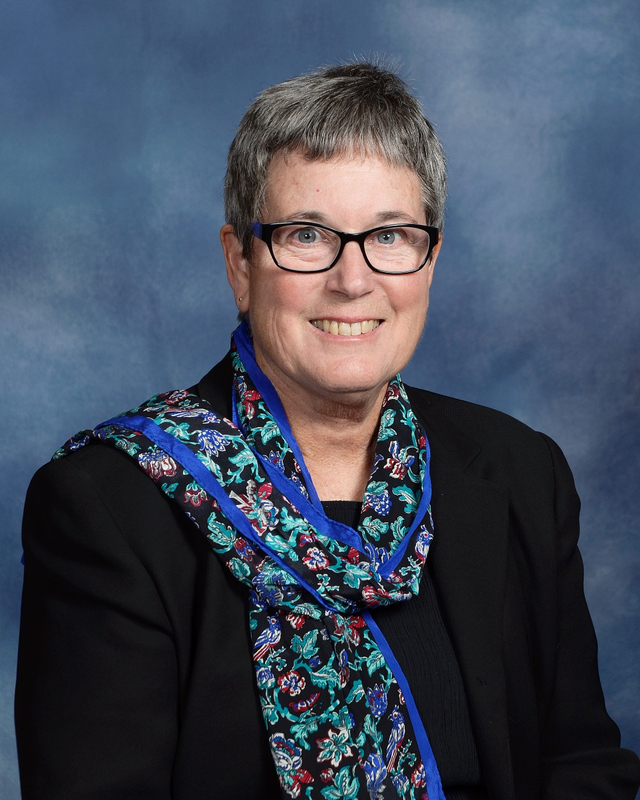 In collaboration with five other churches, Koinonia House is an ecumenical outreach to the students of Eastern Oregon University. 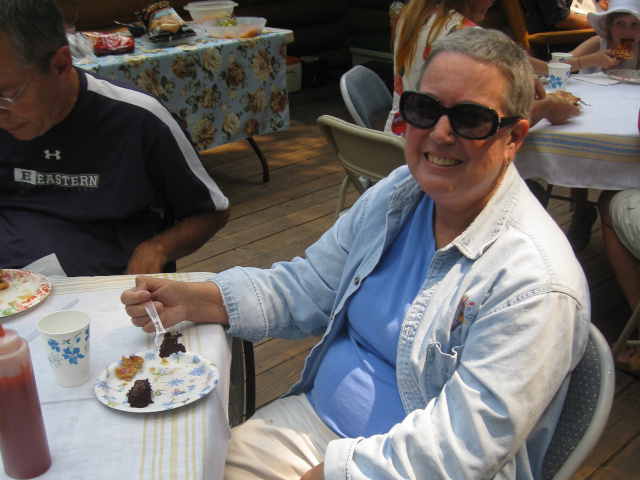 Weekly dinners, breakfasts, Bible study and worship are offered. 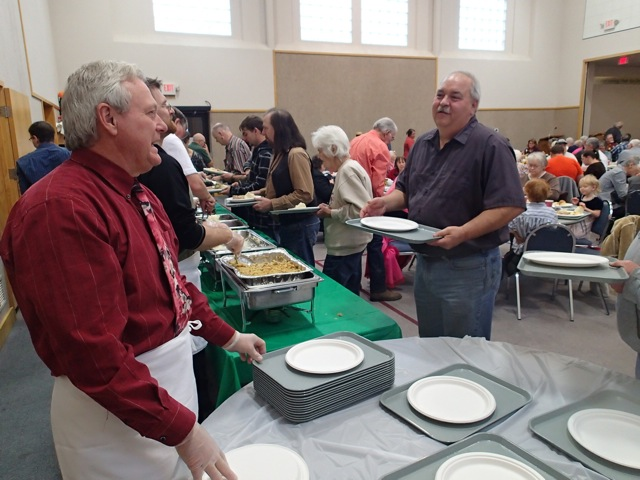 On most Wednesday’s evenings in the fall and spring of the year, the church provides a low cost meal that is open to all members of the community. See the church calendar. Also started at FPC, the Backpack Program is now a 501©(3) thanks to the FPC sponsoring us for several years. FBP provides supplemental weekend food packs to children in need at 9 elementary schools in Union County. 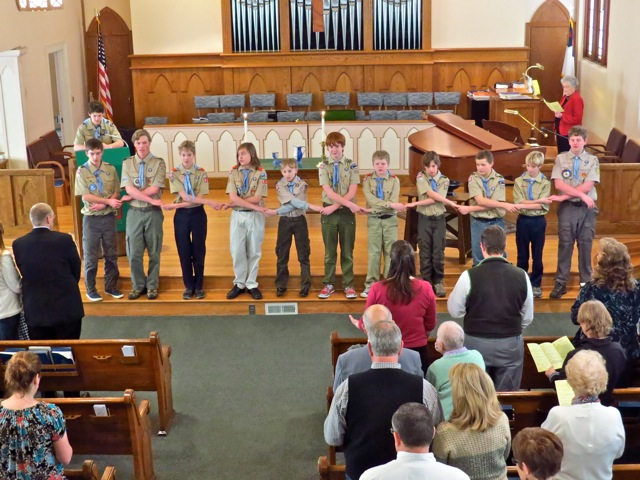 FPC is the chartering organization for the very active Troop 514. FPC hosts several AA groups and NA groups through the week. The groups meet in Reynolds’ Hall. 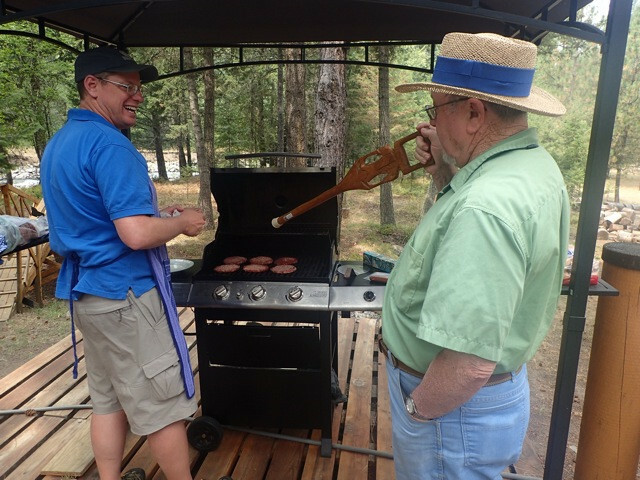 FPC has a history of sending and supporting groups out into the world either on its own or collaboratively with the Presbytery of Eastern Oregon or the PC(USA). 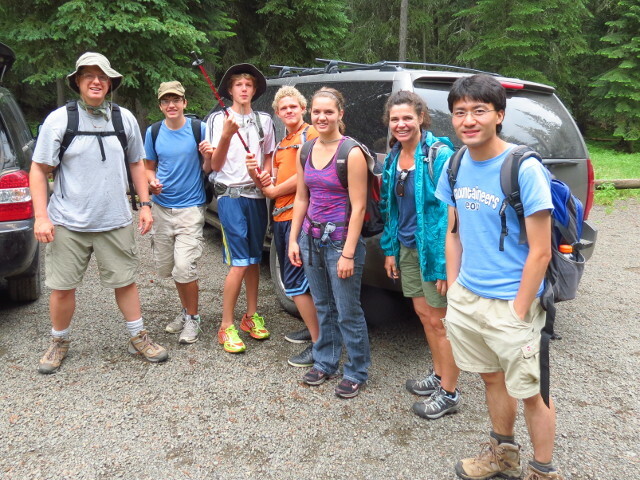 Recently FPC has gone to Campbell Farm near Yakima, WA and the Boise Mission in Idaho. We have also supported financially individuals who have gone to Haiti and Africa. At First Presbyterian Church, we offer opportunities for mission, worship, growing our faith, recognizing the unique and common needs of our church community and the community at large. Contact the church office or see the church calendar for when groups meet. 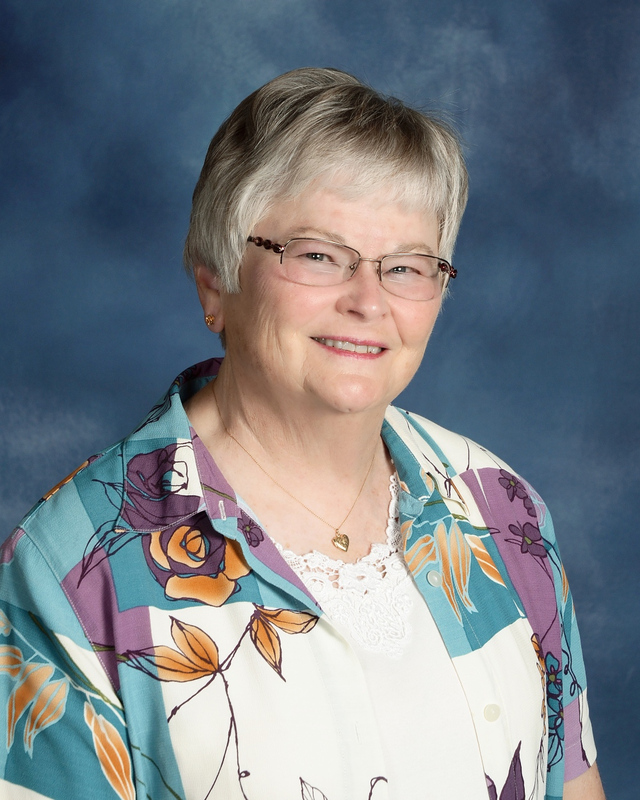 Trained in nursing and care of mind, body, and spirit, our parish nurse offers health-related education, consults with members around health concerns, and gives special care to older adults connected to the congregation. 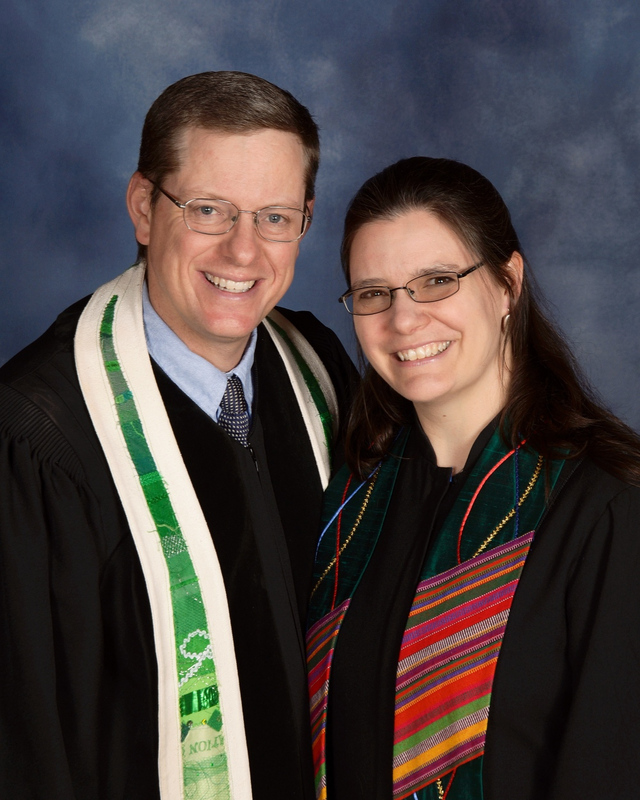 Our Deacons are an elected board offering a ministry of compassion, prayer, and outreach to the church community. 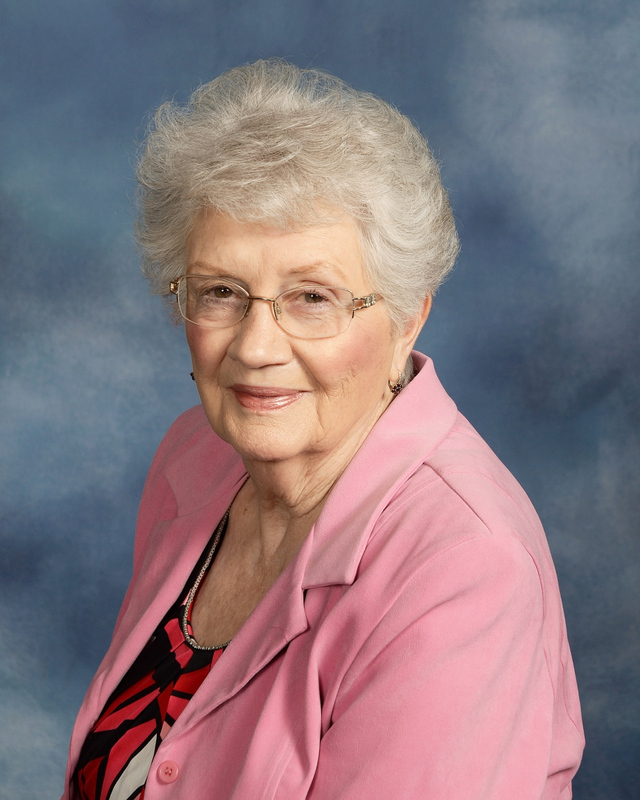 Three groups of the women of the church meet weekly for book and Bible studies. These include the Tuesday Morning Group, the Thursday Study Group, and the Women of Wisdom. These groups meet at either the church or in people’s homes, so please contact the church office for more information. 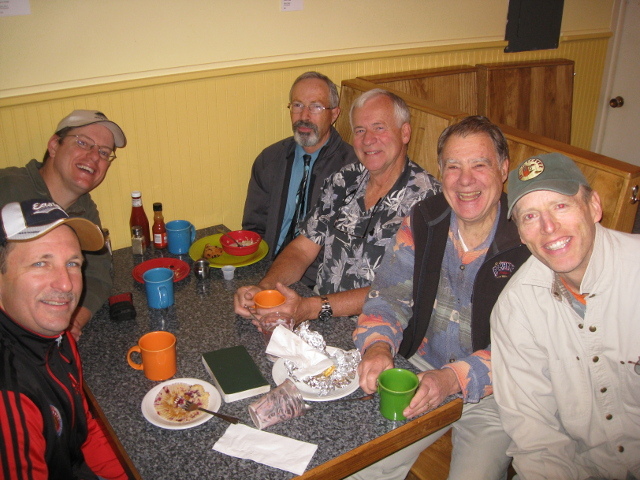 The men of FPC meet weekly at a local coffee shop to discuss a range of topics, including theology and current events. 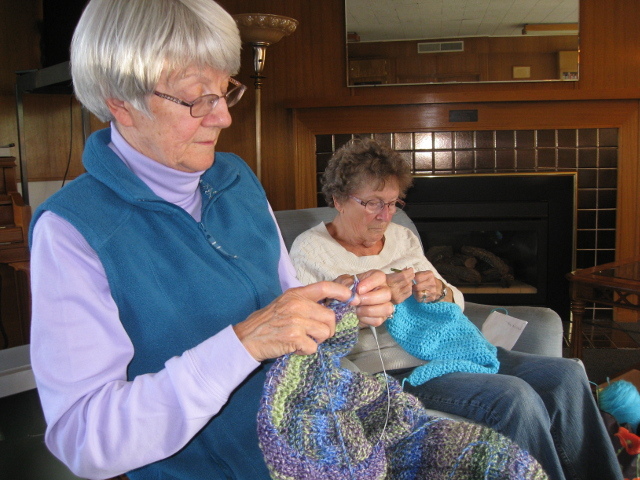 A dedicated group of knitters meets every other week to knit prayer shawls for the newly baptized, those with health concerns, or those with major life issues. On Tuesday and Thursday mornings, a group meets to do Tia Chi that focuses on strengthening balance. 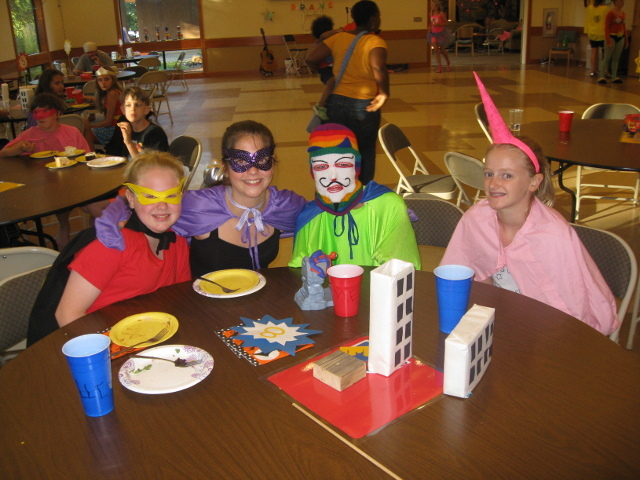 They meet at the Presbyterian Friendship Center. 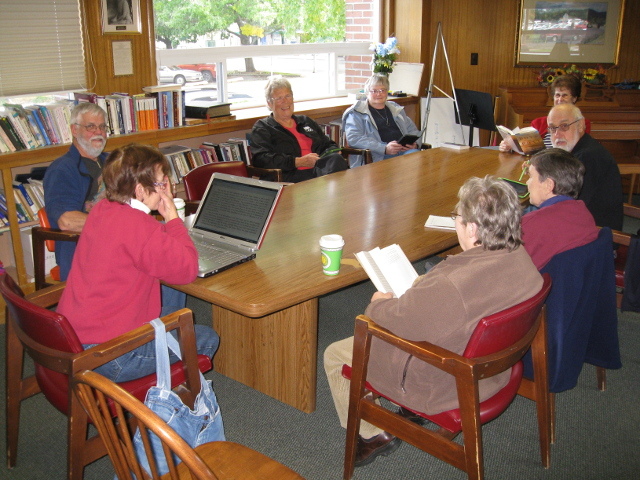 Wednesday morning sees a group of dedicated readers come together for conversation about the latest book they are reviewing. At First Presbyterian Church, we seek to honor our baptismal vows to nurture children in their Christian faith journey by: Helping children know God’s love and grace through worship, creative learning, and fellowship events; Encouraging children to ask questions of their faith; Developing a love of the Scriptures; and Guiding our children in exploring ways to serve God. We welcome all children! They may remain with their families in worship. Kindergarten through 5th graders are invited to Bridge to Worship after Time with the Younger Church for a lesson connected to that Sunday's Scriptures when offered. Older children are encouraged to remain in worship, and may make use of the drawing table or art supplies from the basket located at the back of the sanctuary. 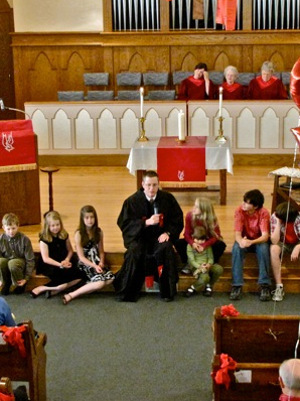 The youth of the church are invited to share their gifts and talents during Sunday worship. 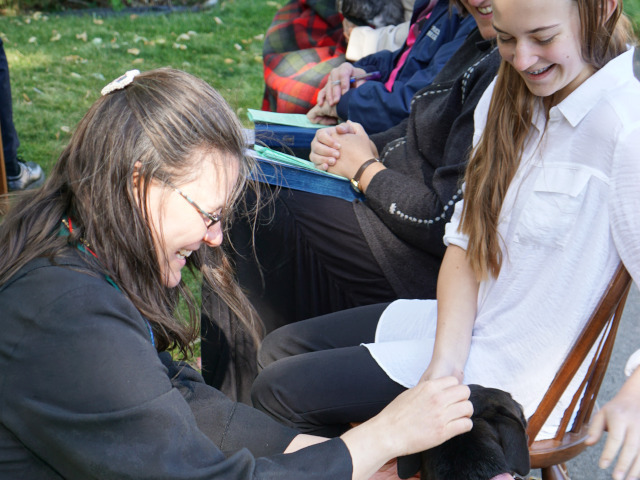 We offer a variety of ways for youth to grow and explore their relationship with God, one another, the church, and the community through fellowship, mission and study. Middle school and high school groups meet regularly during the school year and participate in mission opportunities in the summer. Check the church calendar or email Pastor Keith for more information. 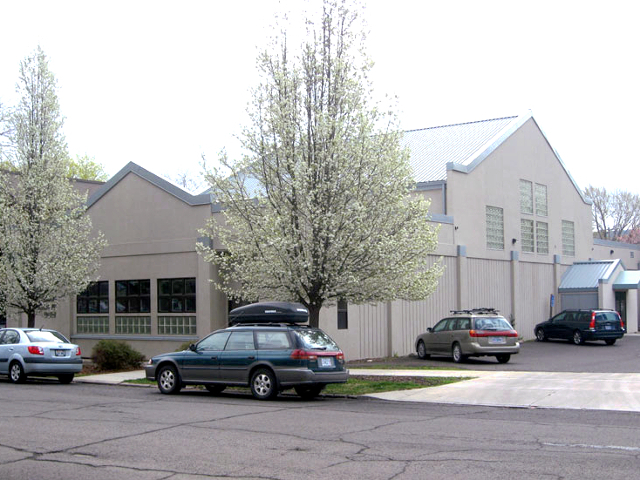 The Presbyterian Friendship Center (known by church members as the “PFC”) is a spacious meeting facility completed in 2000. 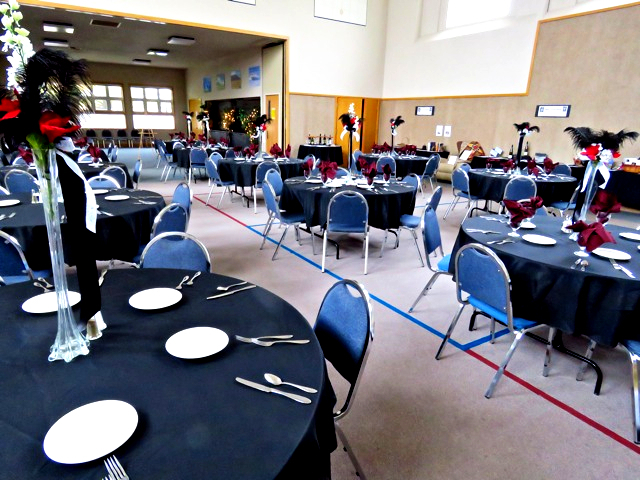 It is used for church activities and is also available for rental by the public for purposes consistent with the mission of the church. The building is directly across the street from the church. 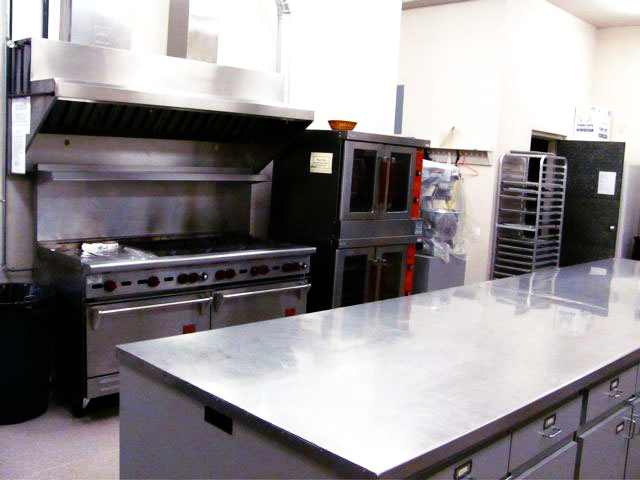 It is handicap-accessible and includes a fully equipped kitchen. Health fairs and exercise classes. Staff retreats and holiday parties. 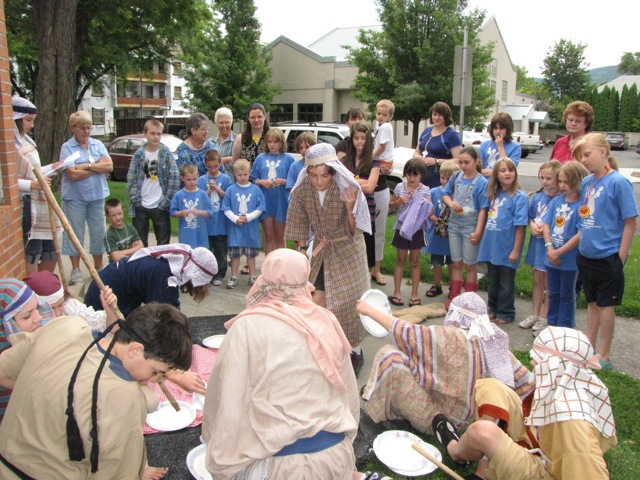 Fundraising events for various local non-profit organizations (e.g., Youth for Christ, Shelter from the Storm, Pink Ladies of Grande Ronde Hospitol, EOU Chamber Choir). "If the date you are looking at is reserved, please contact the church office as schedules do change." Welcome in the name of our Lord Jesus Christ. 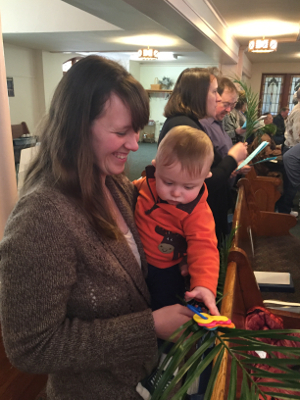 Welcome to First Presbyterian Church of La Grande’s webpage! If you are new to La Grande or have lived here all your life, we invite you to join us in worshiping Jesus Christ on Sunday mornings at 9:30 AM in our beautiful sanctuary. You will find a welcoming and active body of Christ, people who desire to know and serve God together. If you desire to know and serve God with us, please join us for worship, come by and see us at the church during office hours (Tuesday-Thursday, 8:30-1:00), send us an email at churchoffice@eoni.com, or give us a call at 541-963-5114. You can also look for us on Facebook! First Presbyterian Church of La Grande, OR.